The removal of the uranium, stored in Bulgaria since the 1970s, is part of an initiative to deter nuclear proliferation by terrorist groups and other militants whose stated goals include detonating a dirty bomb constructed with nuclear material. "The complete removal of all highly enriched uranium from Bulgaria is another milestone in NNSA's cooperative effort to reduce the threat of nuclear proliferation and prevent nuclear terrorism," Thomas D'Agostino, NNSA administrator, said in a statement. Bulgaria is the second country to return all Soviet-origin highly enriched uranium to secure sites. Through National Nuclear Security Administration’s Global Threat Reduction Initiative. the United States worked in close cooperation with the Russian Federation, Bulgaria, Romania, Ukraine and the International Atomic Energy Agency to pack, secure and ship the material. Venomous Kate has an interesting post about the Saudis preparations for "sudden nuclear and radioactive hazards." • Last week, a U.S. nuclear sub joined the fleet stationed in the Persian Gulf. • On land, Russian sources say the U.S. is currently massing forces on the ian border. • Today the U.S. announced plans to sanction ’s Central Bank for funding state-sponsored terrorism. It is one thing when the IAEA gives positive points for being “generally truthful about its past.” After all, many argue that the IAEA is a toothless bureaucratic organization, at the mercy of different governments and their political agendas. But when the multi-billion dollar US intelligence machine declares halted its nuclear weapons program back in 2003, then as far as many Middle Eastern countries are concerned, the “danger” label has been taken off ’s nuclear program. Although many Sunni countries are worried about Tehran’s activities in Iraq and Lebanon, they were more worried about the prospects of war between Washington and Tehran. Now that this danger has dissipated, it is likely that even more countries in the region will decide to engage , as means of influencing its strategy and behavior in the Middle East. This will make the job of imposing sanctions against much more difficult than before. It will also enable to come out of regional isolation, thus ruining all the celebration that took place in Washington and Jerusalem following the Annapolis show of solidarity. In just one document, in which incendiary conclusions are misrepresented and not supported by the substance of the report and which some suggest was artfully written to damage President Bush, the writers have managed to undo years and years of effort to contain the world's leading state sponsor of terror and its nuclear ambitions. This will only embolden . A more confident and less vilified is more likely to continue to engage in activities which will make war more likely. The "Key Judgments" released by the intelligence community last week begin with a dramatic assertion: "We judge with high confidence that in fall 2003, Tehran halted its nuclear weapons program." This sentence was widely interpreted as a challenge to the Bush administration policy of mobilizing international pressure against alleged ian nuclear programs. It was, in fact, qualified by a footnote whose complex phraseology obfuscated that the suspension really applied to only one aspect of the ian nuclear weapons program (and not even the most significant one): the construction of warheads. That qualification was not restated in the rest of the document, which continued to refer to the "halt of the weapons program" repeatedly and without qualification. The reality is that the concern about ian nuclear weapons has had three components: the production of fissile material, the development of missiles and the building of warheads. Heretofore, production of fissile material has been treated as by far the greatest danger, and the pace of ian production of fissile material has accelerated since 2006. So has the development of missiles of increasing range. What appears to have been suspended is the engineering aimed at the production of warheads. The NIE holds that may be able to produce enough highly enriched uranium for a nuclear weapon by the end of 2009 and, with increasing confidence, more warheads by the period 2010 to 2015. That is virtually the same timeline as was suggested in the 2005 National Intelligence Estimate. It is therefore doubtful that the evidence supports the dramatic language of the summary and, even less so, the broad conclusions drawn in much of the public commentary. I have often defended the dedicated members of the intelligence community. This is why I am extremely concerned about the tendency of the intelligence community to turn itself into a kind of check on, instead of a part of, the executive branch. When intelligence personnel expect their work to become the subject of public debate, they are tempted into the roles of surrogate policymakers and advocates. Thus the deputy director for intelligence estimates explained the release of the NIE as follows: Publication was chosen because the estimate conflicted with public statements by top U.S. officials about , and "we felt it was important to release this information to ensure that an accurate presentation is available." That may explain releasing the facts but not the sources and methods that have been flooding the media. The paradoxical result of the trend toward public advocacy is to draw intelligence personnel more deeply than ever into the public maelstrom. Read the whole thing. Consider it required reading. Daniel Pipes writes that President Bush has decided not to attack , which leaves only Israel to disrupt 's nuclear program. • Intelligence: To impede the production of fissile material requires incapacitating only three facilities of 's nuclear infrastructure. In ascending order of importance, these are the heavy water plant and plutonium production reactors under construction at Arak, a uranium conversion facility in Isfahan, and a uranium enrichment facility at Natanz. Destroying the Natanz facility, in particular, they note, "is critical to impeding 's progress toward nuclearization." • Ordnance: To damage all three facilities with reasonable confidence requires — given their size, their being underground, the weapons available to the Israeli forces, and other factors — twenty-four 5,000-lb. weapons and twenty-four 2,000-lb. weapons. 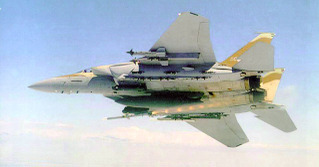 • Platforms: Noting the "odd amalgamation of technologies" available to the ians and the limitations of their fighter planes and ground defenses to stand up to the high-tech Israeli air force, Ms. Raas and Mr. Long calculate that the IDF needs a relatively small strike package of 25 F–15Is and 25 F–16Is. 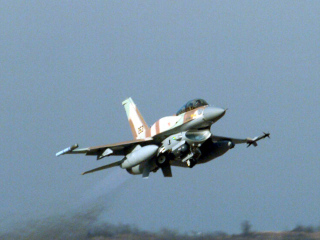 • Routes: Israeli jets can reach their targets via three paths: Turkey to the north, Jordan and Iraq in the middle, or Saudi Arabia to the south. In terms of fuel and cargo, the distances in all three cases are manageable. • Defense forces: Rather than predict the outcome of an Israeli-ian confrontation, the authors calculate how many Israeli planes would have to reach their three targets for the operation to succeed. They figure 24 planes must reach Natanz, six to Isfahan, and five to Arak, or 35 altogether. Turned around, that means the ian defenders minimally must stop 16 of 50 planes, or one-third of the strike force. The authors consider this attrition rate "considerable" for Natanz and "almost unimaginable" for the other two targets. Osirak Redux is available here in PDF format. Raas and Long conclude that the Israeli Air Force possesses the technical capability to carry out an attack to destroy even well-hardened targets in with some degree of confidence. That leaves the question as to whether Israel, unlike the U.S., has the political will to do it.